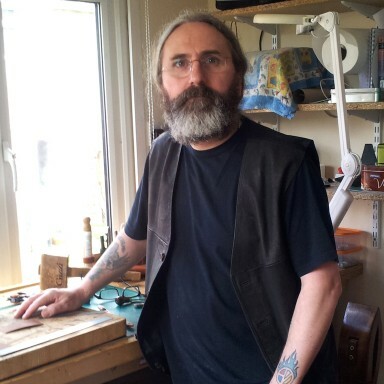 From his workshop in the village of Knebworth Mark makes traditional satchels and bags from high quality leather and solid brass fittings. From the cutting to the stitching and finishing each stage is done completely by hand. He makes the bags to customer specifications, ensuring each bag is unique. His bags and cases are designed and made to last. The leather will age beautifully and take on a rich deep colour, and with a little care should provide many years of service. He is also very proud to be a Queen Elizabeth Scholarship Trust Craft Scholar.